One of the many highlights of the Grenada Chocolate Festival – and perhaps the thing I’d been looking forward to the most – was a trip to the Belmont Estate and the Grenada Chocolate Company factory in the village of Hermitage in the North East of the island. The Grenada Chocolate Company have pioneered sustainable “tree to bar” chocolate making and have become a model for many small chocolate makers around the world. Their tiny factory is a brightly painted converted house in a residential road. I’d seen many photos of it, but getting a chance to actually visit the spiritual home of ethical chocolate making was a dream come true. But before we could visit the factory, our tour took us to the nearby Belmont Estate. 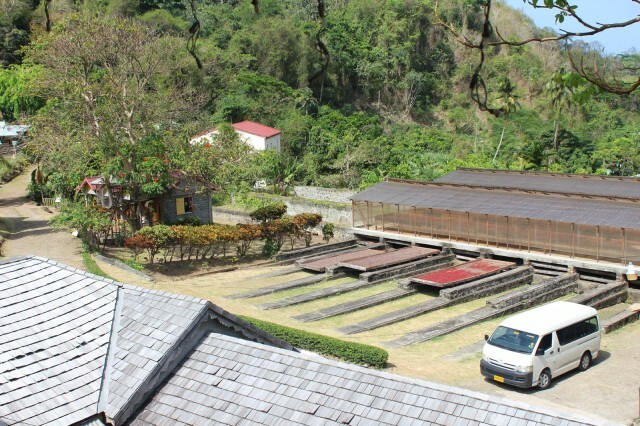 Belmont is a 17th century plantation that describes itself as an “Agri-Tourism Experience”, but most importantly it’s where the initial processing of beans for the Grenada Chocolate Company’s chocolate takes place. 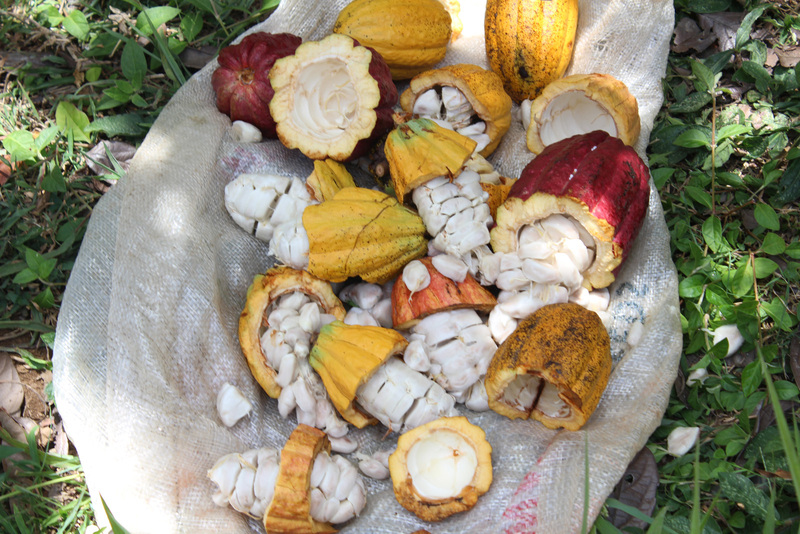 Cacao is harvested from the estate and neighbouring organic farms and brought to Belmont to be fermented and dried. We were given the full tour of the estate. The chocolate making process was explained in fascinating detail by Dr. Darin Sukha of the University Of The West Indies. We started in the fermentation shed where the harvested beans begin their transformation into chocolate. Piled into large wooden containers complete with the pulp that surrounds them, this is where the chocolate flavours start to develop in the beans. 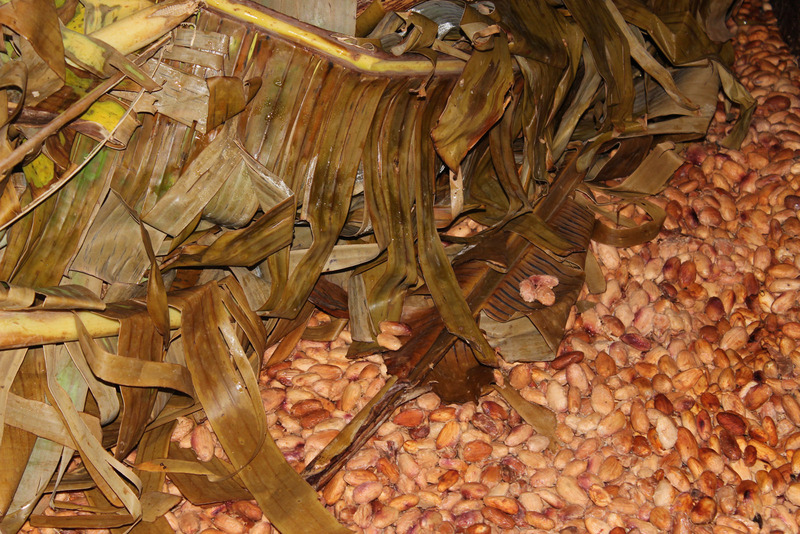 The piles of cocoa beans are left to ferment in their pulp for about a week, covered in banana leaves to keep the heat of the fermentation process in. Every couple of days, the pile is turned to ensure an even ferment. It might not look particularly appetising at this point, but it’s an essential part of the chocolate making process. After fermenting, the beans are dried naturally in the sun. This is done by spreading them out onto very large wooden racks that are mounted on rails and can easily be slid away under cover when it rains. To dry the beans thoroughly they need to be turned regularly, and this part is still done the traditional way. The process of walking up and down the beans, turning them with the feet is called tramping. Care has to be taken not to crush and break the beans, so the technique requires sliding the feet through the beans, rather than walking on top of them. This might seem a little old fashioned, but it gets the job done and it’s a lot of fun for visiting tourists who want to get their feet dirty! 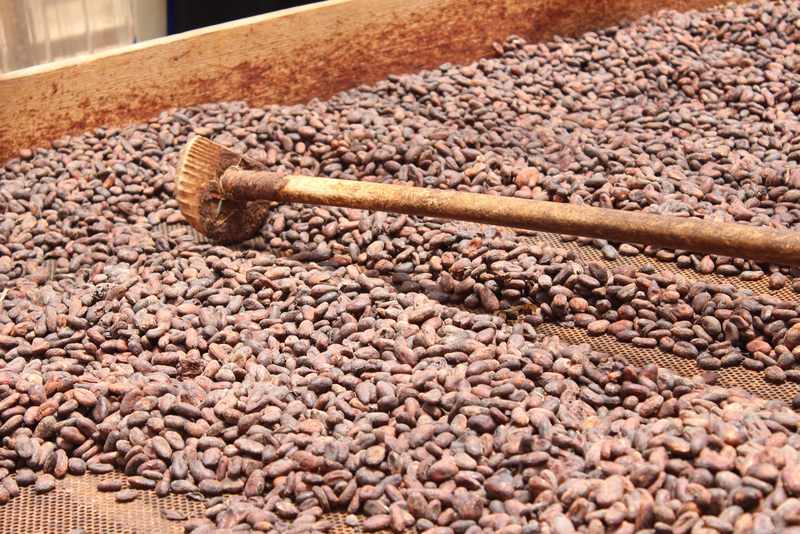 There is another way to dry the beans though, and the Grenada Chocolate Company were pioneers of solar drying. This is basically just a large greenhouse where the beans are spread out on a table. With no room to turn the beans by tramping, a special tool called a rabot is used to turn the beans here. After a quick cocoa tea, it was time to head out into the plantation and see how the pods are actually harvested – another part of the process that needs to be done manually. 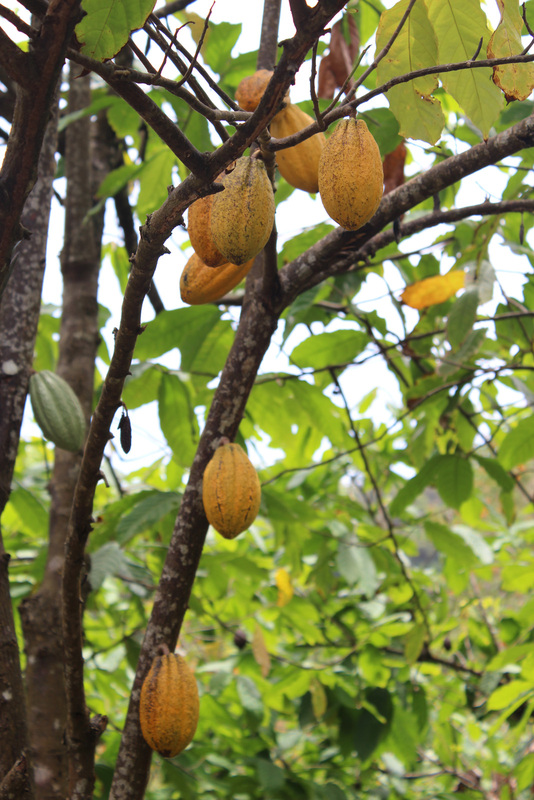 Because of the way cacao grows, it would be impossible to automate the process. Although it can only grow in hot climates, the cacao tree likes a bit of shade, so is always grown with other, larger shade-giving trees like banana. Grenada is also an incredibly mountainous island with hardly any flat land, so simply getting to the trees can be a challenge in itself. There’s no substitute for a bit of skilled labour here. After harvesting with a simple blade on a long pole, the pods need to be opened. Traditionally, this is done with a machete or cutlass, but for the inexperienced, this is a great way to lose a finger or three. At Belmont, they use a special wooden mallet to crack the pods open instead. Once opened, the beans and pulp are taken back to the fermentation shed, while the empty pods can be used for fertiliser. In most parts of the cocoa growing world, the fermented and dried beans would then be packed into burlap sacks for transportation to chocolate factories around the world. However, the real value is added when the beans are transformed into chocolate. 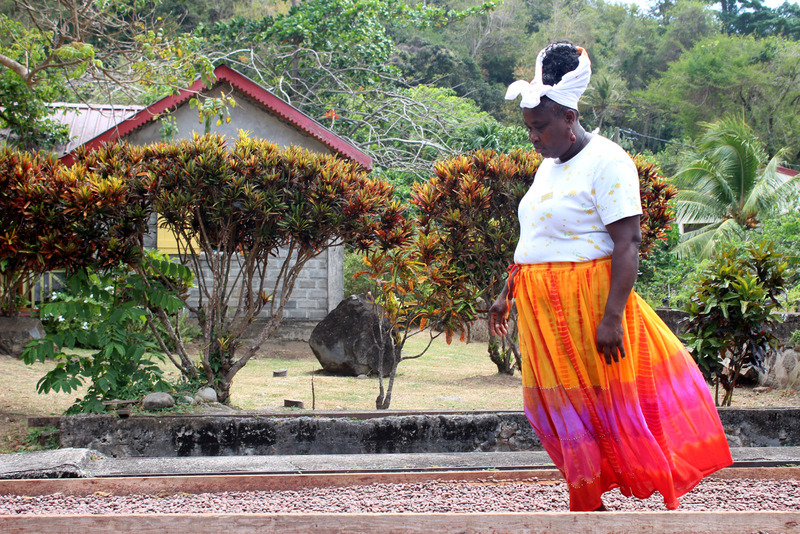 The Grenada Chocolate Company is one of only a handful of chocolate makers that produce bars right where the cocoa grows, keeping more of the the revenue within the local community. Working directly with the farmers also means they can encourage good practice and have a direct influence on the flavour and quality of the chocolate right from the start. It’s a fascinating model that has resulted in some of the best chocolate in the world. Given the worldwide availability of Grenada Chocolate Company bars, you would be forgiven for thinking it’s made in a big factory. In actual fact, every single bar is produced from start to finish in this tiny house. Solar panels in the garden power the process and a small, brightly painted van delivers the chocolate throughout the island and to the docs in St. George’s, from where it’s transported to chocolate shops around the world. Our tour is brief, but magical. 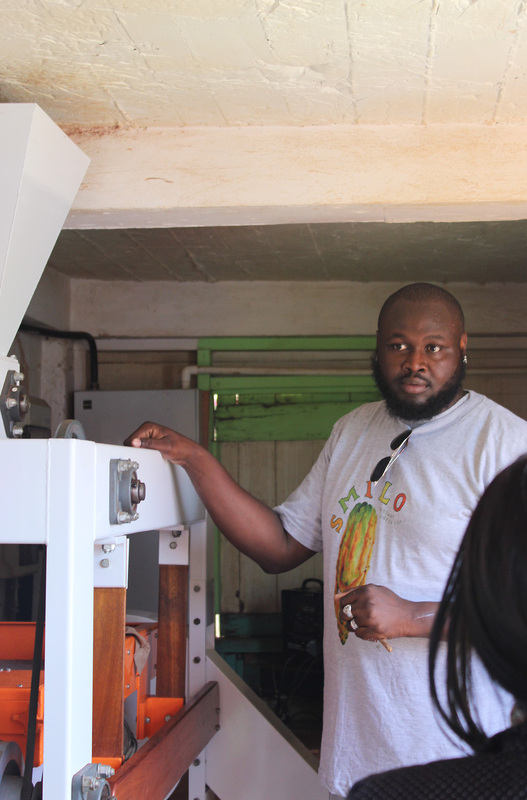 First we are shown the old coffee roaster where the cocoa is gently roasted to develop the flavour and help release the papery shells. From there, the beans are broken and the shells are blown away in a custom-made winnowing machine. 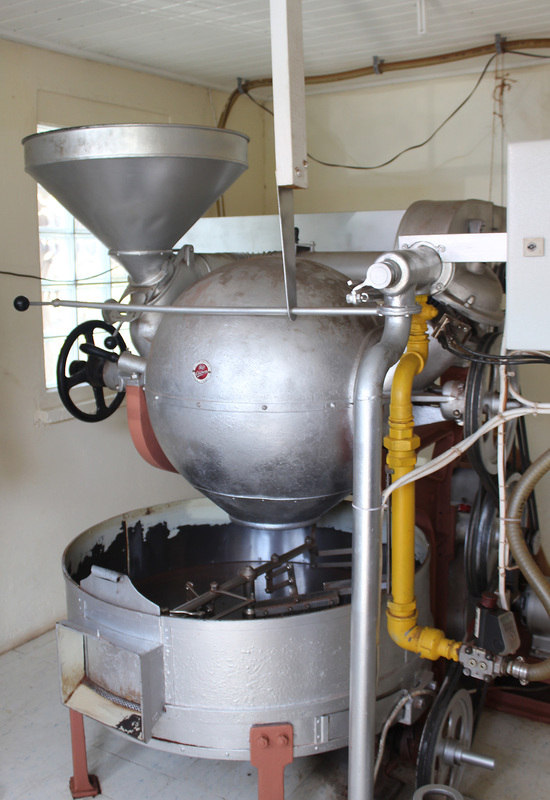 Grenada Chocolate Company use a combination of modern 30kg Cocoa Town and vintage Lehmann melanger. The Cocoa Town was in use during our visit and was full to the brim with chocolate. The acidity in the air as the volatiles were driven out of the chocolate made it quite difficult to breathe in such a small room, so we didn’t stay long! Of course, the challenge with making chocolate in a hot climate like Grenada is that it has a tendency to melt! The heat is actually useful for the grinding and concheing process, but chocolate can only be tempered and moulded below 25°C, so that part of the process takes place behind closed doors in an air conditioned room. Every bar is moulded then carefully hand wrapped in this small room, before being stored ready for shipping. The process of making small batch chocolate is virtually the same wherever you go in the world, but making it in a hot climate is especially challenging. 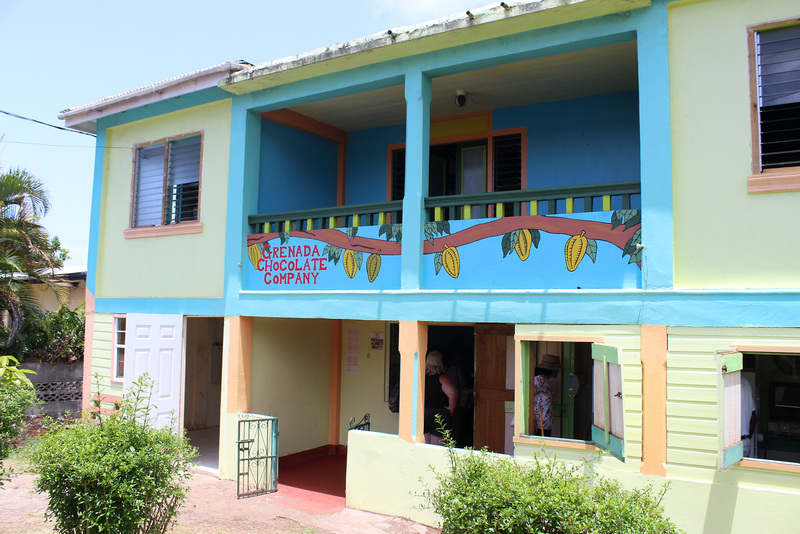 Thanks to the vision and dedication of the late Mott Green, the Grenada Chocolate Company have managed to transform this little house into the world’s most ethical chocolate factory. After our tour of the factory, we returned to Belmont for lunch in their fabulous open air restaurant. 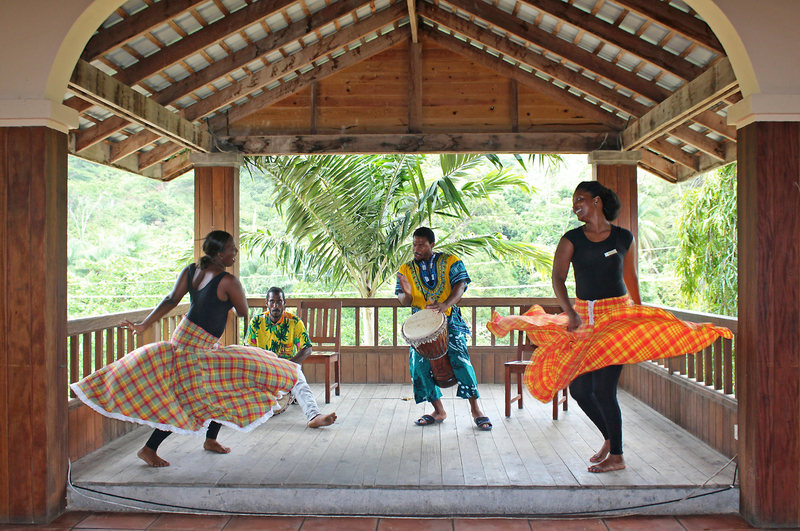 We were entertained with traditional Grenadian dancing before dining on a truly wonderful chocolate themed meal, made with plenty of local cacao. Then there was just time for chocolate tasting with a selection of Grenadian chocolates and a spot of shopping at the Grenada Chocolate Company factory shop before heading back to our hotel. I had such a wonderful time at Belmont and the Grenada Chocolate Company. Their efforts and investment have kick started a whole industry on the island. 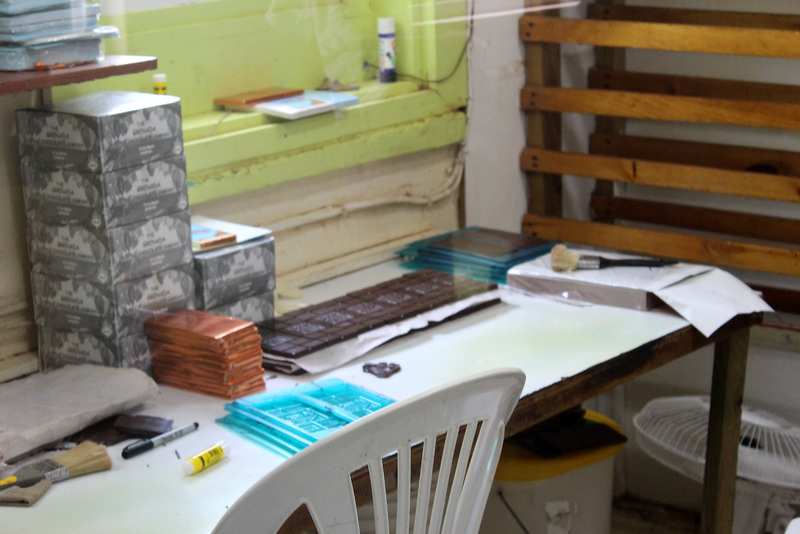 There is now a second bean-to-bar chocolate factory in Grenada, and the chocolate festival which hosted are visit was one of the best I’ve experienced. I can’t wait to go back, and spend more time surrounded by cacao and chocolate in Grenada. 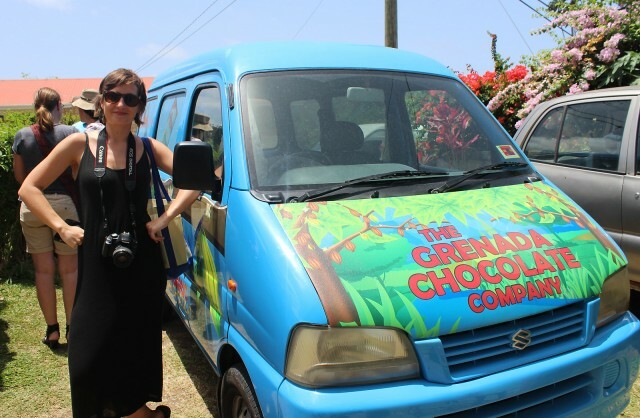 Thanks to the Grenada Tourism Authority for organising our chocolate-filled visit to Grenada. Filed under belmont estate, festival, grenada, grenada chocolate company, grenada chocolate festival, meal. Chocablog Is Ten Years Old!